Wear or gift this thin personalized custom bracelet. 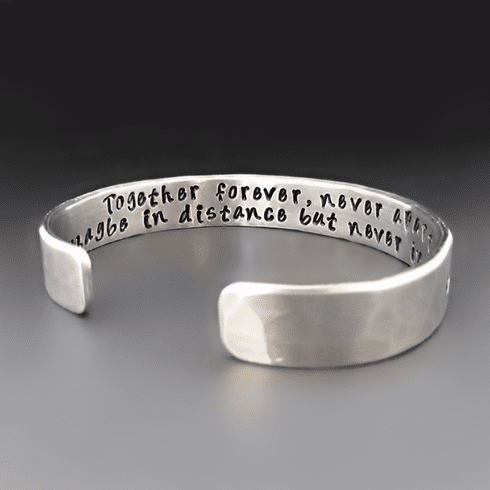 Each silver aluminum cuff can be stamped with a personal message, names or dates. This cuff is perfect for stacking with other bracelets or layering with a watch. This bracelet is 2.5 mm thick. This cuff is lightweight and very easy to wear. It is made with 100% pure aluminum and will not tarnish or cause reactions due to nickel allergies. It can be adjusted to fit most wrists.